As a Manchester divorce and family finance solicitor I spend my days negotiating financial settlements or representing clients in divorce and financial court proceedings. However, after many years of experience in family law, I appreciate that even after you have secured a financial court order it is not over until a husband or wife has received their divorce financial settlement. The recent high profile case of Farkhad and Tatiana Akhmedova really emphasises just how difficult it can be to enforce a court order and get the money after a divorce financial settlement. In 2016, an oil and gas tycoon, Mr Akhmedov, was ordered to pay about 40% of his wealth to his wife, Tatiana. The award by the high court in London was hailed as one of the biggest divorce settlements at the time that it was made .That is because the Russian billionaire had been told by a London judge to hand over about 453 million to his ex-wife. Roll on two years; Mr and Mrs Akhmedov have hit the headlines again. Mrs Akhmedov has finally received some of her divorce financial settlement. The path to her getting the money has been far from straightforward. Mr Akhmedov reportedly did not agree with the court decision, believing it to be wrong. That left Mrs Akhmedov with a financial court order that said she should get a 90 million-art collection, property in England worth 2.5 million, a £350,000 car and a 350 million cash payment. However, the reality was that she had little more than a piece of paper from the court that was only worth anything if it could be enforced. As Mr Akhmedov had not complied with the financial court order and handed over the cash and property in accordance with the financial court order Mrs Akhmedov applied for a freezing order. She then employed specialist asset tracers to try to locate and unravel ownership of assets to ensure that she got her financial settlement. Although the figures for Mr and Mrs Akhmedov are eye watering it is nonetheless the case that freezing orders have to be considered either during or after financial court proceedings. After all, there is little point in obtaining a financial court order if it cannot be enforced because the assets have disappeared through sale or transfer to third parties. The asset tracers employed on behalf of Mrs Akhmedov have recovered a helicopter that was used to transport people to Mr Akhmedov’s yacht. It is reported that the sale of the helicopter has raised just under 5 million. The yacht is impounded in Dubai. There is ongoing legal argument over seizure of the 300 million super yacht and the recovery of other assets. You may wonder why Mr and Mrs Akhmedov are locked in such an expensive court battle. The rationale behind Mr Akhmedov’s objection to complying with the London financial court order is, at its simplest, that he does not believe the London high court had jurisdiction to make the financial court order for a variety of reasons. Furthermore, Mr Akhmedov maintains that the assets are held in trust or by companies and therefore the financial court order cannot be enforced against them. You may question how the case of Mr and Mrs Akhmedov is of relevance to anyone other than Russian oligarchs. However, the principles of enforcing court orders and getting the money after a divorce financial settlement are just the same whether you are seeking to recover multi millions or thousands of pounds. Do not delay: if you have a financial court order and it has not been complied with in the court ordered timetable do not delay in enforcing the court order. 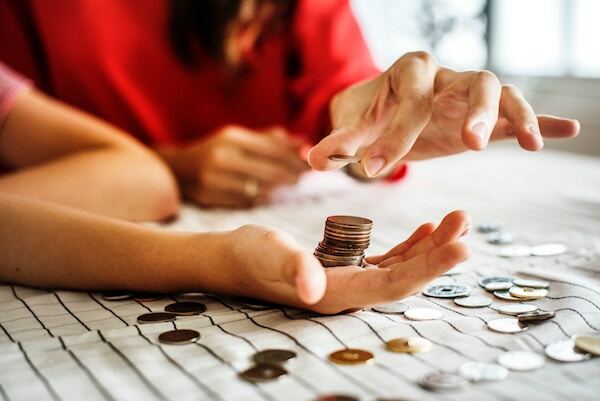 Delay may be very prejudicial to you, for example if your spouse is at risk of bankruptcy or might leave the UK making it harder and more expensive to trace assets. It goes without saying that as well as needing a tenacious divorce and family finance solicitor you also need to be equally tenacious and patient. These are skills that Mrs Akhmedov has probably had to learn since her 2016 financial court order.